Some studies show that polyunsaturated fats lower your risk of heart disease. For this reason, many have recommended that we increase our consumption of vegetable oils like soybean oil, sunflower oil and corn oil. However, it is important to realize that there are different types of polyunsaturated fats, mainly Omega-3s and Omega-6s. While we get Omega-3s from fish and grass-fed animals, the main sources of Omega-6 fatty acids are processed seed- and vegetable oils. 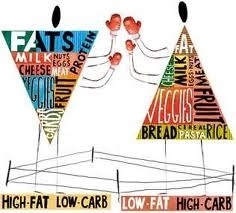 The thing is… we need to get Omega-3s and Omega-6s in a certain balance. Most people are eating too little Omega-3 and way too much Omega-6 (73, 74). Studies show that excess Omega-6 fatty acids can increase inflammation in the body, which is known to play a causal role in many serious diseases (75, 76). 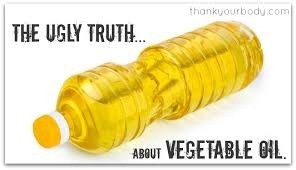 Most importantly, seed- and vegetable oils are associated with a significantly increased risk of heart disease… the biggest killer in the world (77, 78, 79, 80, 81). If you want to lower your risk of disease, eat your Omega-3s but avoid the refined seed- and vegetable oils. It’s important to keep in mind that this does NOT apply to other plant oils like coconut oil and olive oil, which are low in Omega-6 and extremely healthy. Bottom Line: Excess consumption of refined seed- and vegetable oils can increase inflammation in the body and dramatically raise your risk of cardiovascular disease. Any Activity is Good Activity! 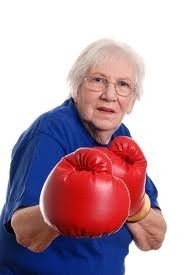 We were discussing the recent Spec Saver Adverts on UK TV of recent weeks, they are very clever the latest features a fitness instructor ( short sighted) teaching a wild exercise class to seniors expecting Bingo. Find them, they must be on YouTube. Watch them join in- what a Hoot!, I think I’ll have to revise my Super Senior moves next week! Don’t forget to like and follow! Drinking beetroot juice ‘can help beat blood pressure. Blaming new health problems on old foods has never made sense to me. 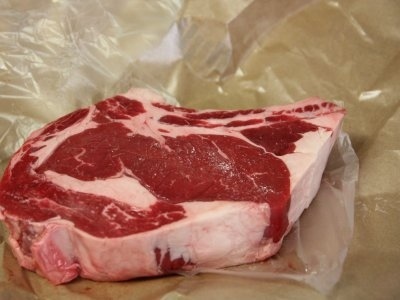 One example of that is meat… which humans have been eating throughout evolution, for millions of years. For some very strange reason, many people are now blaming meat for diseases like heart disease and type II diabetes, which are relatively new. This doesn’t make much sense at all and the studies don’t support it. While it is true that processed meat is associated with all sorts of diseases, the same is not true for unprocessed red meat. A massive review from 2010 that looked at data from 20 studies with a total of 1,218,380 individuals revealed that unprocessed red meat had no significant association with either cardiovascular disease or type II diabetes (62). Other studies that included hundreds of thousands of people agree with this… processed meat is bad, but unprocessed red meat is harmless (63). Even though some observational studies have found a link between meat consumption and cancer, review studies that look at the data as a whole show that the effect is weak and inconsistent (64, 65). If there really is an association between red meat and cancer (which has NOT been proven) then it is most likely caused by excessive cooking, not the meat itself. For this reason, it may be important to avoid burning your meat (66). Also, let’s not forget that meat is incredibly nutritious. It is loaded with vitamins, minerals, quality proteins, healthy fats and various lesser known nutrients that are important for the body and brain (67). Bottom Line: Studies show that unprocessed red meat does not raise your risk of cardiovascular disease or diabetes. There is a very weak association with cancer, but most likely caused by excessive cooking and not the meat itself. 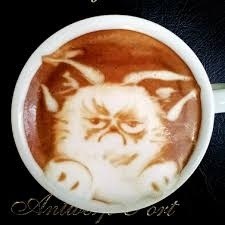 Coffee has a bad reputation in the past. It is true that coffee can mildly elevate blood pressure in the short term (49). However, long term studies show that coffee may actually reduce your risk of some serious diseases. Have up to a 67% lower risk of Type II diabetes (50, 51). Are at a much lower risk of getting Alzheimer’s and Parkinson’s (52, 53). Have up to an 80% lower risk of liver diseases like cirrhosis (54, 55). Caffeine also helps to mobilize fatty acids from the fat tissues, boost metabolism and increase exercise performance by an average of 11-12% (56, 57, 58). Many studies have examined the effects of caffeine on the brain, showing that it can improve mood, memory, reaction time, vigilance and overall brain function (59). You may be surprised to hear that coffee is also loaded with antioxidants. In fact, it is the biggest source of antioxidants in the modern diet, outranking both fruits and vegetables, combined (60, 61). If you’re sensitive to caffeine or it tends to disrupt your sleep, then green tea has many of the same health benefits but a smaller amount of caffeine. Bottom Line: Coffee contains very large amounts of antioxidants. Studies show that coffee drinkers are at a much lower risk of developing many serious diseases. Commonly mistaken as a health food, evidence is mounting that wheat can contribute to various health problems. Yes… this includes “heart-healthy” whole wheat. Wheat is the biggest source of gluten in the diet. New studies are showing that a significant percentage of the population may be sensitive to it (38, 39, 40). 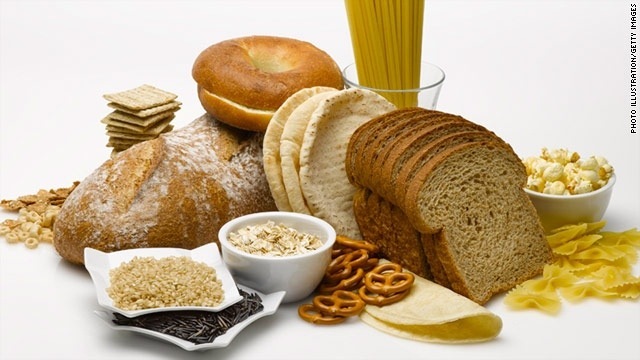 In sensitive individuals, gluten can contribute to various symptoms like digestive issues, pain, bloating, stool inconsistency, fatigue and may damage the lining of the intestine (41, 42, 43, 44). There are also some controlled trials associating wheat gluten with various disorders of the brain, including schizophrenia, autism and cerebellar ataxia (45, 46, 47). Not only that… but a controlled trial in humans showed that whole wheat increased various risk factors for cardiovascular disease in as little as 12 weeks (48). Even though whole wheat is “less unhealthy” than refined wheat, the best choice would be to skip the wheat altogether.